Have you considered sustainability and the flooring industry? I was at my local Target store last week and was amazed by the amount of sustainable earth friendly products that are readily available to the consumer. This is a significant difference from even just a couple of years ago. As I continued to fill up my cart with household items, I started to think about my own living environment and whether I was really doing my part to contribute. Arriving at home, I started to take inventory of my surrounding like the laminate floor in my living room, the carpet in my bedroom and the tile in my bathroom. I had just come back from the store loaded with eco-friendly cleaners but was the flooring in my home just as environmentally friendly and sustainable? Almost all flooring manufacturers have taken steps in this arena of sustainability. For example, on May 20th, 2010, Shaw Industries, Inc. met with California Governor Arnold Schwarzenegger, and William McDonough and Michael Braungart who are the founding members of MBDC and co-authors of the ground breaking book Cradle to Cradle: Remaking the way we make things. They came together to announce the launch of Green Product Innovation Institute (GPII) in California. This non-profit organization will extend the concept of Cradle to Cradle™ to more industries and administer the training, standards and certifications. Not only has Shaw Industries adopted Cradle to Cradle™ but so have European manufacturers like Desso. 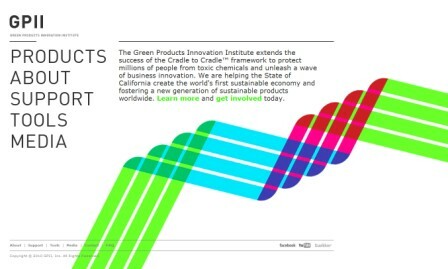 Listen to this recent interview between FloorDaily's Kemp Harr and Jeff West, Director of Sustainability for Shaw Commercial as they discuss the launch of the Green Products Innovation Institute and Jeff provides an overview of the components of Cradle to Cradle certification. This is just one example of how the flooring industry is making huge strides in the eco-friendly arena. In the months leading up to DOMOTEX 2011, I hope to feature a series of posts that relate to sustainability and how it is impacting the flooring industry. What steps have you taken to be green?